You will find that St Lucia has one of the best dishes in the Caribean. We are sharing with you today our inside scoops of the top 10 best places to eat in St Lucia. Do you like flavor? Ready to try some ethnic dishes? There is no better place to enjoy some yummy food than in St Lucia. This luxurious restaurant is located at Sugar Beach resort. One look at the menu and you know you are in for a treat. The restaurant has elegant decor, gorgeous view of the beach and a great menu with a variety of different foods to stimulate your senses. Bayside Restaurants is considered to be one of the Best restaurants in St Lucia and we highly recommend checking it out. Dasheene restaurant located at the Ladera Resort in St Lucia. It has an incredible view of the Pitons which makes it the most romantic place in the world. This high-end restaurant offers award-winning cuisine ran by an executive chef. Dasheene offers an authentically local experience with foods that are from the Island farmers. Don’t leave St Lucia without tasting some St Lucian traditional dishes such as Caribbean lamb salad, roast conch with pickled vegetables served in a yam basket, Cajun-Creole vegetable bakes, jerk poulet sausage, plantain gratin with coconut rum sauce and more. Anyone else feeling hungry yet? Any steak lovers here? We needed to add this restaurant to our “top 10 best restaurants in St Lucia” for several reasons. The Big Chef Steakhouse is located in Rodney Bay Village and offers delicious food and excellent service. This chic restaurant is a favorite among Tourists because of its relaxed but fun atmosphere all year round. The wine list is something that you should definitely look into as you won’t get any better than this. We had to absolutely add this small local restaurant on our top 10 list of the best restaurant in St Lucia. It is located on the Northern end of Soufriere. This beauty is located in a beautiful Courtyard Garden and makes for a beautiful relaxing setting. If you really want to meet the locals then this is the place to be. They serve “Ti Manje”, which means a small plate of food in the local language of Kweyol. They are known to make Caribbean cuisine using the freshest local fish and meats that can only be found on the island. Be sure to give this local business a visit when you are down on your trip. We love supporting the locals. As the name suggests, this venue is St Lucia’s most popular restaurants located on a waterfront and we had to add it to our list as one of the bests restaurants in St Lucia. It’s known for its consistent quality in both food and service that they offer their guests. The original restaurant was once located in the Vigie Cove location before a fire completely destroyed it back in 2011, destroying everything. The new location is now at Rodney bay overlooking the Reduit beach at the Rodney Bay Marina. They are open every day of the week, be sure to visit this gorgeous restaurant which also caters to weddings. Matthews restaurants is a relaxed international dining located in Castries, Gros Islet highway. This amazing restaurant offers a warm atmosphere to its clients with great Caribbean flavored food. If you are looking for a place that offers a good St Lucian vibe, then Matthews Restaurant is the place for you. Location: Castries, Gros Islet highway, St Lucia. This amazing lounge is home to Jazz. If you are looking forward to some great jazz music while dining on amazing food, then this is where you should be. If you like a good steak while away in the Caribbean be sure to stop by at the Fire Grill Steak House & Lounge bar. Location: Rodney Bay, St Lucia. The Coal Pot Restaurant is known for its authentic flavored menu. It fuses the best of the French and Creole cuisine bringing to you nothing but the greatest of all tastes. This venue is located on a waterfront making a gorgeous view. Most of its menu is imported especially the meats such as the rib-eye steak, rack of lamb and the beef tenderloin. Are you a seafood fan? This restaurant is famous for its wide selection of fresh fish and lobster when in season. Fun facts about Doolittle’s in St Lucia, it is named after the movie Dr. Dlittle (1967). We definitely needed to add this to the list of the best restaurants in St Lucia. The movie was filmed in Marigot Bay and it is both an indoor and outdoor restaurant located at the Marigot Beach Club & Dive Resort. The view is definitely breathless with its beautiful view of the water and the yachts. Enjoy some light meals such as burgers, grilled chicken salad, seafood, and steak. You do need to take the ferry across the bay to get to the bay. The Pink Plantation restaurant is part of the Pink Plantation House hotel and restaurant. They allow outside guests to dine at their facilities. All of their delicious foods are prepared in-house. Every part of the ingredients is locally produced. If you want to taste something unique then the Pink Plantation is where you must visit. Those the top best restaurants in St Lucia in our opinion. Which of these restaurants will you be visiting while in St Lucia? Tell us in the comments below. 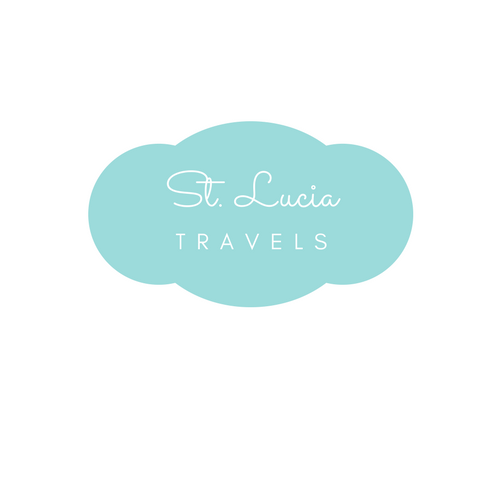 Do you know of other amazing restaurants in St Lucia? We would love to hear from you. PIN THIS to your St Lucia Trip board.